The Supreme Court will hear on Monday the plea of Yakub Abdul Razak Memon, the sole death row convict in the 1993 Mumbai serial blasts case, seeking stay of execution of his death sentence scheduled for July 30. “I have already assigned the bench. The file had come to me. It will come up on Monday," said Chief Justice of India H L Dattu. "This is a sensitive matter," the bench, also comprising Justices Arun Mishra and Amitava Roy, said noting that it has been already assigned to a bench headed by Justice A R Dave for July 27. While senior advocate Raju Ramachandran mentioned the petition for Yakub Memon, another senior counsel T R Andhyarujina appeared for Death Penalty Litigation Clinic, associated with the National Law University Delhi, which has been filing petitions in apex court against the execution of death penalty in different cases. 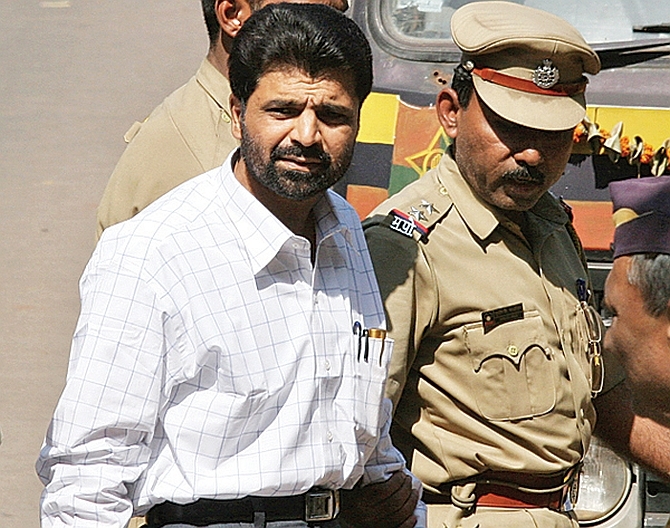 Ramachandran said there is no time to lose for Memon whose life hangs by a thread. Andhyarujina said the convict is due to be hanged on coming Thursday at 7 in the morning and sought tagging of the Clinic's plea with that of Yakub. Memon sought "extra-indulgence" of the apex court for an immediate hearing of his petition saying that "undue haste" was shown to execute him without following the due process of law. Memon got support from the clinic that he was not given proper notice of the death warrant proceedings to enable him to get legal assistance. He alleged that "death warrant proceedings were carried out in Mumbai" while he is in jail in Nagpur and therfore he was not represented through his lawyer. The petition said the death warrant was issued by the Terrorist and Disruptive Activities (Prevention) Act court in Mumbai when his curative petition was already pending in the apex court, "thereby presumptuously pre-determining its negative outcome." Memon had moved the apex court yesterday seeking stay of execution of his death sentence on the ground that all legal remedies have not been exhausted. In his petition, Memon said that a lower court's death warrant is illegal as all the legal remedies available to him under the law have not been exhausted and that he has also approached the Maharashtra governor with a plea for mercy. Memon had filed the mercy plea before the governor immediately after his curative petition was dismissed by the apex court on Tuesday. His lawyer told the apex court that the trial court did not follow procedure and guidelines, citing a case in May when the death warrants of an Uttar Pradesh couple were cancelled. His petition says a death warrant was issued against him even before he could exhaust his last legal remedy -- a curative petition which was dismissed two days ago on July 21. The Supreme Court in the UP case had then said that such warrants cannot be issued unless the convict has exhausted all legal options. A three-judge bench headed by Chief Justice H L Dattu had on July 21 rejected Memon's plea saying that the grounds raised by him does not fall within the principles laid down by the apex court in 2002 in deciding the curative petition, the last judicial remedy available to an aggrieved person. Memon, in his plea, had claimed he was suffering from schizophrenia since 1996 and remained behind the bars for nearly 20 years. He had sought commutation of death penalty contending that a convict cannot be awarded life term and the extreme penalty simultaneously for the same offence. The apex court on April 9 this year had dismissed Memon's petition seeking review of his death sentence which was upheld on March 21, 2013. Memon's review petition was heard by a three-judge bench in an open court in pursuance of a Constitution bench verdict that the practice of deciding review pleas in chambers be done away with, in cases where death penalty has been awarded. The apex court, on June 2, 2014, had stayed the execution of Memon and referred his plea to a Constitution bench as to whether review petitions in death penalty cases be heard in an open court or in chambers. Memon had sought review of the March 21, 2013 verdict of the apex court upholding his death penalty in the case relating to 13 coordinated bomb blasts in Mumbai, killing 257 persons and injuring over 700 on March 12, 1993.